This entire article is posted on Successful Farming, under the Machinery Insider column. David Davidson, Director at Iron Solutions, looked into the valuation history of popular self propelled sprayers over the last 10 years, searching for depreciation trends. The dramatic depreciation, often referred to as its value “falling off a cliff” the moment you drive it off the lot, speaks true in this sprayer category. 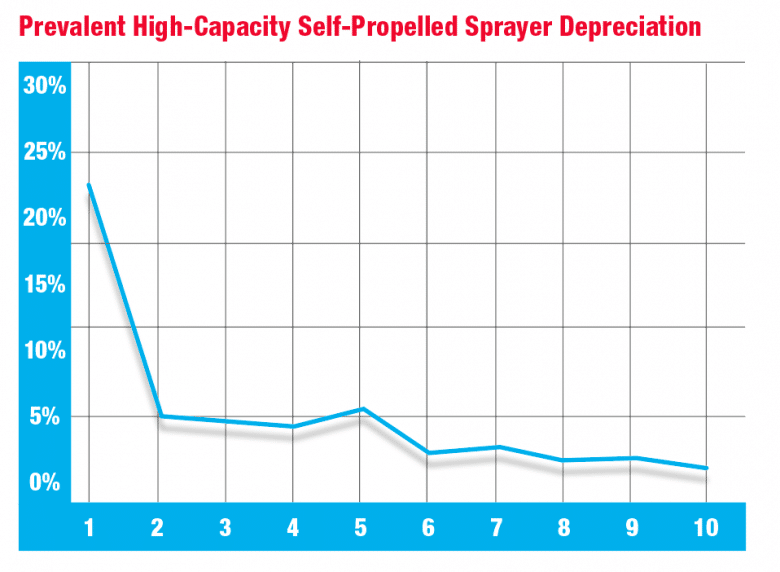 The average first-year depreciation for all sprayers in this category is surprisingly consistent at 24% across each of the five manufacturers in this analysis. The good news is that once past the initial year’s value decline, the rate of depreciation drops significantly. Put the power of Iron Solutions data to work for your business.